Equipment and components for vehicle fueling. Bagby Gage Stick: Manufacturer of gage sticks. Cim-Tek: Spin on filters and adapters for fuel dispensers; high volume filters. Husky: Automatic nozzles, swivels, break-away valves, pressure-vacuum vents for conventional and vapor recovery fueling. Irpco: Curb pump hose, couplings and other hose products. 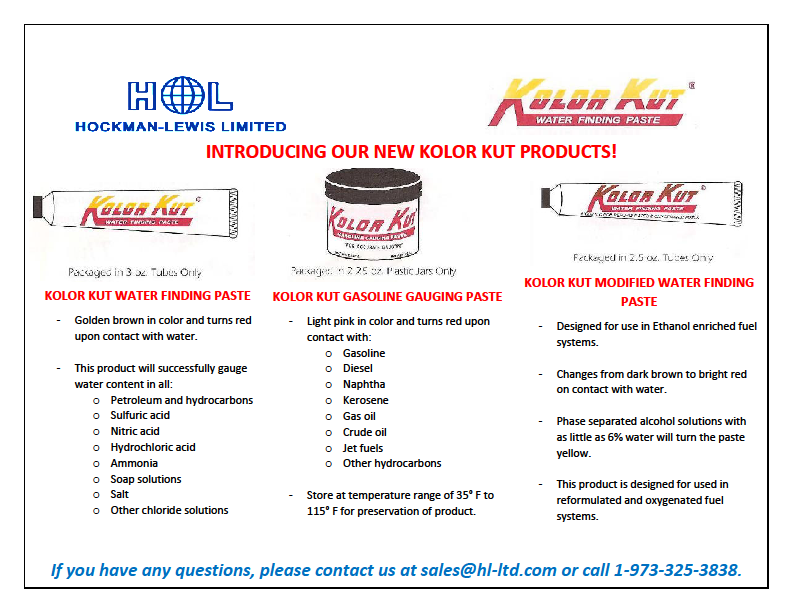 Kolor Kut: Used to test for the presence of water in the bottom of oil, diesel, petrol, gasoline, fuel oil, and kerosene tanks. Riverside-Steel: Curbing, island forms, pipe bends and bases for lights and signs. StokAir: Electronic tire gauge and inflators. Universal Valve Company: Service station valves and fittings, manholes, vapor recovery hardware. Veeder-Root: Mechanical computers and registers for fuel dispensers and meters.